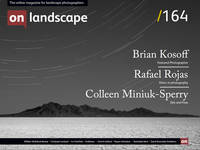 I am a dedicated landscape photographer based in Berlin. I work in the ministry for family affairs, seniors citizens, women and youth as a deputy head of department. I am 60 years old and married. I spend most of my holidays traveling across the globe practicing my way of amateur photography. Getting to take pictures of New York from out of a helicopter must certainly be the dream of many photographers. The flight itself is already a great experience. The removed doors of a so-called doors-off flight not only increase the release of adrenaline but, by their very nature, also improve the view and the possibilities for the photographer enormously. That New York from the air represents a stunning motif with enormous potential, does not require any great explanation. Can there be anyone who isn’t familiar with those picture books full of images of the New York skyline. It does, however, require a good bit of planning to be able to enjoy the dream to the full and to come home with all the pictures you’d like to. I’d like very much to share some of the experiences I was able to gain from 3 flights over New York in February 2017. I wasn’t badly prepared, but I was by no means perfectly ready for what I awaited me. Very few of us are able to "practise” taking pictures from a helicopter flight. For this reason, this short report aims to be more than a suggestion that one takes a flight in a helicopter, but rather to also attempt to offer some welcome support to those willing to take the plunge; it is composed as a snapshot and makes no claim to completeness. “Doors-Off" flights offer the passenger an almost 180-degree view to the side of his or her seat and the chance to point their lens almost vertically downwards. It all begins with booking and choosing the flight. On the internet, you will find many suppliers of flights who set off in Manhattan and offer the traditional route along the Hudson for 20 to 30 minutes or so. These are flights for tourists with closed doors, which are certainly worthwhile but not especially aimed at the needs of photographers. On more or less specified routes, you fly parallel to the city to some extent but not really over New York. Of course, in terms of duration and range, such flights can easily be upgraded, but generally speaking, the doors remain closed. Then there are several providers offering special flights for photographers. “Doors-Off" flights offer the passenger an almost 180-degree view to the side of his or her seat and the chance to point their lens almost vertically downwards. They are often used by professional photographers, who are completing an assignment and thus have a clear idea of what they want to photograph from which perspective, from which height, in what light conditions and at what time of the day. More powerful helicopters, such as the Robinson R44 Raven 2, which fly more gently than smaller machines and can fly at higher altitudes, are used. And I can confirm that this model allows the photographer to get good results. I cannot offer model comparisons here. My flights didn't set off in Manhattan but from Linden airport, 1101W Edgar Rd Linden, NJ 07036, southwest of Manhattan near Newark Airport. The approach to Manhattan takes 7 minutes. The small airport can easily be reached in about 1 hour by train from Penn Station followed by a short taxi ride. The providers of the flights are housed in inconspicuous hangars. I went for Core-Heli in Hangar 600. I had to be there one hour before the flight. The briefing by the pilot includes questions of safety, the flight path and communication on board. Understandably, the cameras had to be secured with fixing straps. In order to be able to use the cameras well in a sitting position, you should test the set-up beforehand. Sat there as I was with my 3 cameras, fastened to the left, right and in the middle, I got smiled at more than once. But it worked. Nothing is allowed on-board that might fall from the aircraft, such as a lens cap, for example. In hindsight, it seems to me that a lens change might have been possible. But I’d advise against it; even if the pilot turns a blind eye. Clearly, you are strapped in, but you still have enough room for manoeuvre so that you can lean out and photograph down below. I was least prepared in terms of the flight path. The possibilities here are unlimited. Clearly, you are strapped in, but you still have enough room for manoeuvre so that you can lean out and photograph down below. I was least prepared in terms of the flight path. The possibilities here are unlimited. If you want to circle the tip of the Freedom Tower from up close, photograph the Manhattan Bridge from different perspectives, target the Manhattan skyline from the south or Manhattan via Central Park while heading in a southerly direction, everything, or at least almost everything, is possible. As I was offered a "ride" as a free flight in the company of a professional photographer, I now know what good planning is all about. The professional had gone for the Flatiron Building from every conceivable angle. My good fortune, because the Flatiron Building is probably one of the most attractive buildings in New York. Of course, I had no influence whatsoever on the route taken. I benefited greatly from the pilot, who had a lot of experience with photographers’ wishes and to some extent made up for my lack of planning. Unfortunately, Mr Trump has instigated a no-fly zone around his Trump Tower, which the pilot has to observe strictly. The operator is very annoyed about this but I wasn’t really so bothered; probably because I can’t really comment on something I missed out on. Without this zone, I probably wouldn't have been able to photograph an army helicopter hovering in the air in front of a row of houses. The microphone and headset communication onboard work quite well. In terms of what you want to do when up in the air, you have to think about what the pilot is actually able to deliver. A talk is given with this in mind before the flight. However, it is better to arrive at the airport with a detailed idea in your head and to discuss this with the pilot. During the flight, you can make amendments but determining a completely new route costs time and money and might not even be possible if there isn’t enough fuel. If you want to take a flight and get to see a lot and have sufficient time to take photographs, you should allow at least 1 hour and preferably 90 minutes. Obviously, clothing is important too. I flew at minus 5° and at plus 15° for up to 2 hours of flight time. So you have to wrap up very warm and in windproof clothing. The hands, feet and head should also be well protected. This is also inspected critically before setting off. Do this and surviving a helicopter trip in February is not impossible. Heading out from Linden Airport, you approach Manhattan from a south-westerly direction. If so desired, the first view will be the skyline with the Statue of Liberty in the foreground. I primarily made use of a Nikon D 600 with the 20 mm type lens from Sigma, but also a Pentax 645Z with a 35mm lens. The wide angle also came into play for the view of Manhattan from Brooklyn; something which I can recommend. The southerly view north of Central Park is also worthwhile. It is essential that you circle the Freedom Tower and the Empire State Building. I captured the latter from the tip of the building with the moon shot in the background. Here, I mostly used a Nikon D 810 with the 85 mm from Sigma, but also the Pentax. Brooklyn Bridge and Manhattan Bridge are extremely photogenic from many different angles and can be photographed well with an 85 mm lens. The view of Manhattan from a westerly direction, with the southern tip just in the right half of the image and with the sunset in the background, is one of my favourites. This is just a small, highly subjective selection of views and lenses which you can choose from. Of course, light conditions and the time of day play an important role. I experienced wonderful sunsets and afternoons with milky light. The flights were at 2 pm, 3 pm and 4:30 pm. If you select a late flight, the ISO values in terms of exposure times reach between 1/1000 and 1/2500, which is no longer really fun. With my equipment, a flight after 5.30 pm in February, oriented towards the sunset, would be of limited value. The high light intensity of the Sigma lenses is a real plus for photographing from a helicopter. I used the Sigma lens open or in an aperture range of up to 2.8. The Pentax was only to be used with an open aperture if you wanted to keep the ISO number down. I didn’t detect any shaking with either of the Nikon, while I at best achieved mixed results with the Pentax. However, the sharp photos taken by the Pentax are of breath-taking quality. I’m also excited by the results with the Sigma 85 mm. The D 600 with the 20 mm lens also delivers really good photos, as my 120 cm x 80 cm format prints prove. In my experience, you should not work with an exposure time slower than 1/1000. From my point of view, fixed focal lengths starting from 15 mm to 20 mm and going up to 85 mm are to be recommended. If necessary, a focal length of up to 135 mm might also make sense. But no focal lengths longer than this. Overall, I am satisfied with the images I collected, but it is also clear that, with even better preparation or with a professional, I would have got even more out of the 3 flights. The internet search for a flight had led me to an agency which I initially and incorrectly took to be the operator of the helicopters. I recognised this error when booking the 2nd flight on site, which was significantly more favourably priced than the first booking via the agency. I’d also like to offer two tips, given to me by the owner of Core-Heli. You should only book with an operator, who is also the owner of the aircraft and is itself responsible for the maintenance. When searching the internet, you should always enter the name of the company plus ‘accident’. One crash on the record sheet is one too many if you want to have confidence in them. Better to be on the safe side says the expert. Of course, the whole thing is a very expensive fun, which you will however probably only be able to enjoy once in your life. But it's worth it, no question!